We’ve been in a crafty mood lately at Davis & Company. Allie just learned Tunisian crochet, Christine’s a terrific knitter and Cheryl’s always concocting some creative craft (she gave family members personalized coasters for the holidays). So it was no surprise when yesterday’s consulting meeting morphed into a silly discussion about decoupage, macramé and other obscure crafts. And that’s when someone issued a challenge: Could I write a blog about the link between crafts and employee communication? Of course I could! I worked for Martha Stewart early in my career (long story requiring cocktails) and have recently rediscovered a passion for crocheting (I made the pillow in the photo). Visuals are a must. A great photograph or two attracts potential crafters to the project, and step-by-step visual instructions make it easier to follow even a complicated pattern. Lesson for communicators: Sorry, English majors: Words are less and less effective. Images matter most. Social media means you never have to knit alone. 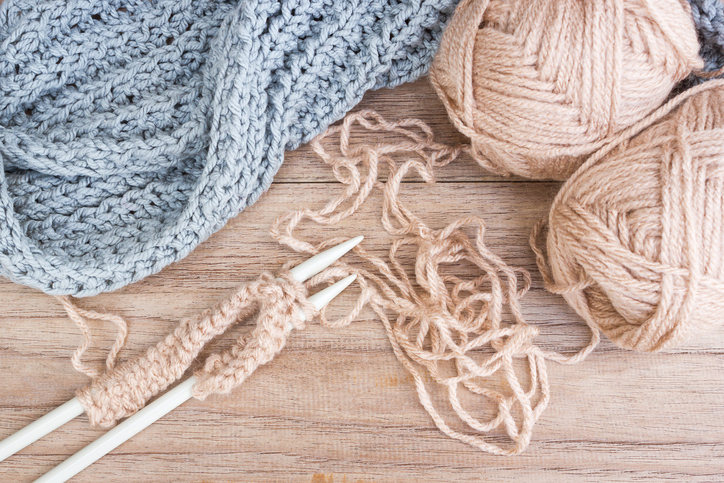 In the old days, your mother or aunt would teach you how to craft, and you could always get advice from a neighbor or the weekly knitting circle. But these days, it’s harder to find experts close to home. Social media to the rescue! You’re never more than a click away from a blogger, Pinterest page or "friend" who can help. Lesson for communicators: Still struggling with the role social media should play in your organization? How about connecting subject matter experts with those who seek the information they need? Video shows you how. I bought a book (I know: how quaint) showing how to make crochet circles and squares. The author referred to a technique called “magic circle” which allows you to create a circle without a hole in the center. Hard as as I tried to follow the instruction, I could not get it. But then I went on You Tube and typed “magic circle” into the search box. Within 10 minutes, I had found and watched five videos demonstrating the technique. Got it! Lesson for communicators: Show, don’t tell. Video’s not just for talking heads; it's even more valuable for telling a story and showing how to.